How much money is needed to purchase a home? Why a mortgage pre-approval is so important. Making an offer on a home. How much should you offer? Should inspections be a part of the deal? What contingencies will be involved? Interest Rate vs Home Price - Is now the time to purchase? 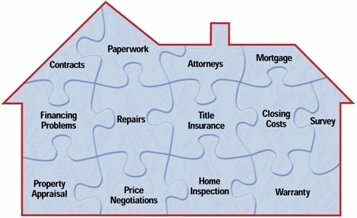 Do you need help with Closing Costs? What is Seller's Assist? Why you shouldn’t call the number on the sign in front of the house. $8,000 Tax Credit - Who is eligible? How do you get the money? What is the danger of going to Open Houses? New Construction - How is that different from purchasing a resale home?